The Political Beekeeper’s Library is an effort to collect, organise, and present books where parallels are drawn between how bees and humans are socially and politically organised. Many fascinating stories can be told through the books in the library. However, the most revolutionary narrative that can be found in The Political Beekeeper’s Library is the development of a honey bee society that, rather than being ruled by a king, is decentralised and democratic. It is said that bees are the most written about animals after humans. There is little doubt they are the most written about insects. Because there have been so many books written about bees, it is necessary to select which ones should be included in the library according to some criteria. First and foremost, The Political Beekeeper’s Library includes books which have been key to how people have understood bees’ social organisation in political terms. However, it should be noted that the books in the library show general trends in how humans have understood bees’ social and political organisation throughout history, but opinions have always varied and not every theory has been published. As early as 3500 BCE the Egyptians used a bee hieroglyph to denote their king. The notion of the bee society as a monarchy ruled by a king persisted into the 16th century. By 1586 the Spaniard Luis Méndez De Torres had observed that the king bee in the hive laid eggs and thus determined that the king in fact was female. 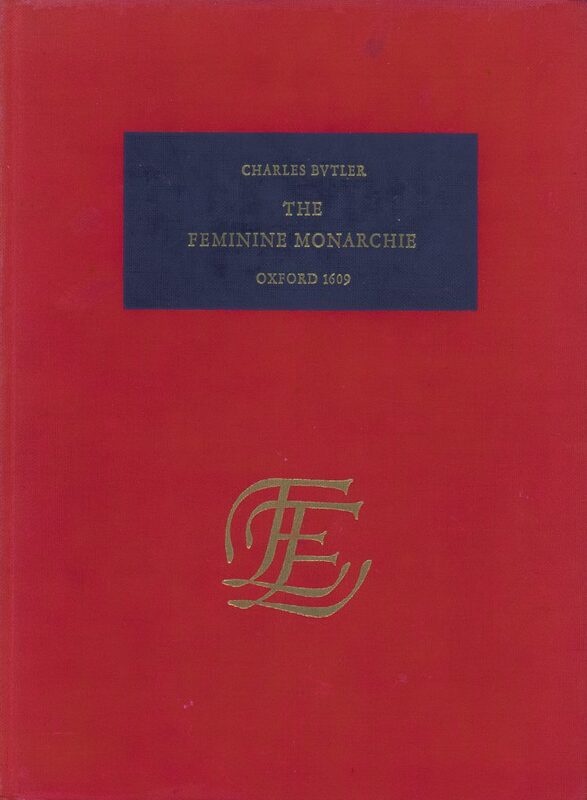 But it was the The Feminine Monarchy by Charles Butler (1609) which popularised the idea of a queen bee. Later in the 17th century, Jan Swammerdam (1637-1685), the famous Dutch naturalist and pioneering microscopist, demonstrated beyond doubt that the head bee was a female. However, the idea that the monarch of the bee society was a queen and not a king remained controversial into the mid-18th century. By the 19th century, it was generally acknowledged that the bee society had a queen. 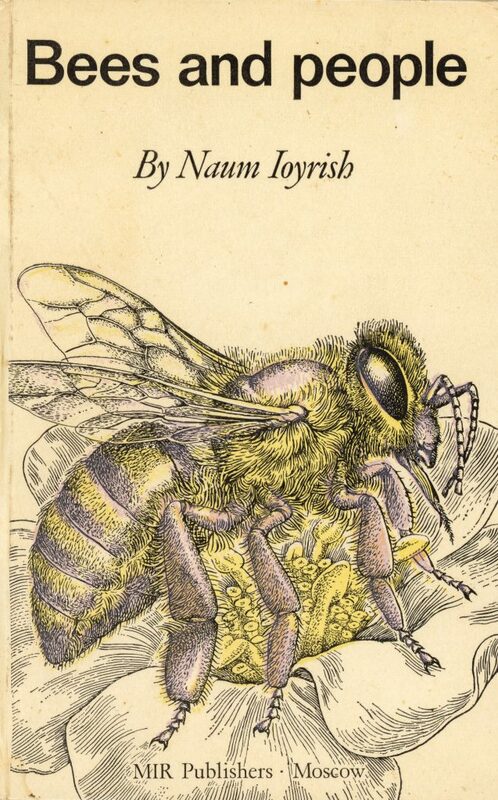 This notion still prevails, despite many trying to dethrone her: “The queen-bee, or, as she may more properly be called, the mother bee, is the common mother of the whole colony”, writes L. L. Langstroth, the inventor of the modern bee hive, in Langstroth on the Hive and the Honey-Bee (1853). “The truth”, writes Tickner Edwardes in The Lore of The Honey Bee (1911), “is that the queen bee is the very reverse of a monarch, both by nature and inclination”, and “Despite her high-sounding title, the queen bee is not a ruler in any way”, Dorothy Shuttlesworth writes in All Kinds of Bees (1967). 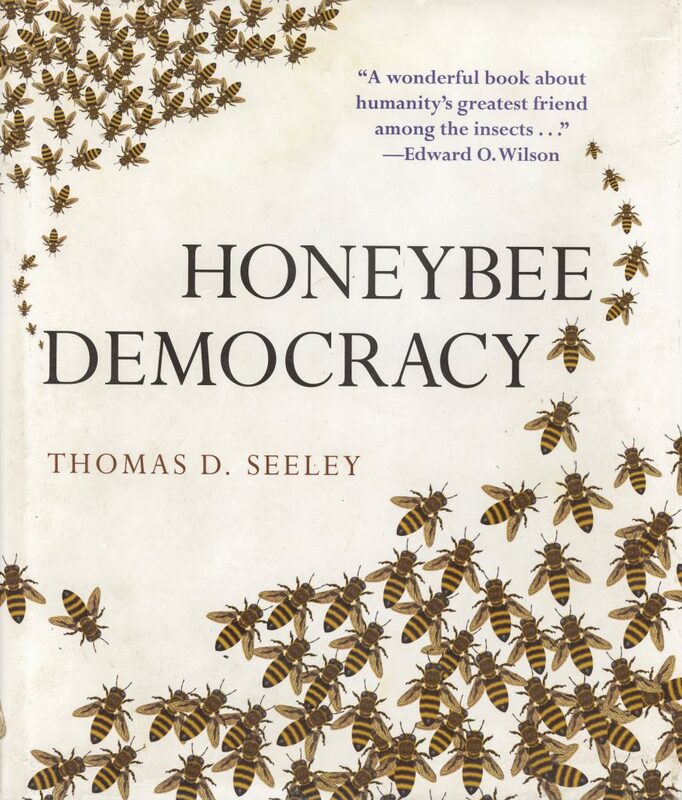 Perhaps the book that might eventually lead to a dethroning of the queen bee is Honeybee Democracy by Thomas D. Seeley (2010), which is a summary of the socio-biologist’s research on the decision-making methods that honey bees use when they choose a new nest site. Seeley describes the honey bee society as decentralised and democratic, and he makes a strong case against the belief that a bee colony is ruled by a queen. “A colony’s queen is not the Royal Decider”, he writes, “she is the Royal Ovipositer”. 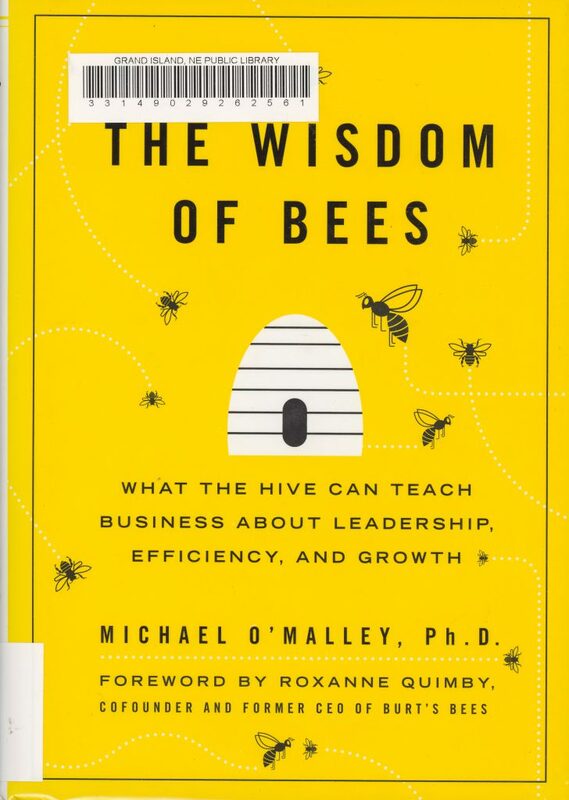 Seeley concludes that “what works well for bees can also work well for people: any decision-making group should consist of individuals with shared interests and mutual respect, a leader’s influence should be minimized, debate should be relied upon, diverse solutions should be sought, and the majority should be counted on for a dependable resolution”. Beyond social and political organisation, the other criteria for the selection of books in The Political Beekeeper’s Library is that the books should be primarily about bees. However, exceptions have been made for the oldest books in the library. These are not exclusively about bees, but contain passages about bees which have been of particular historical importance. 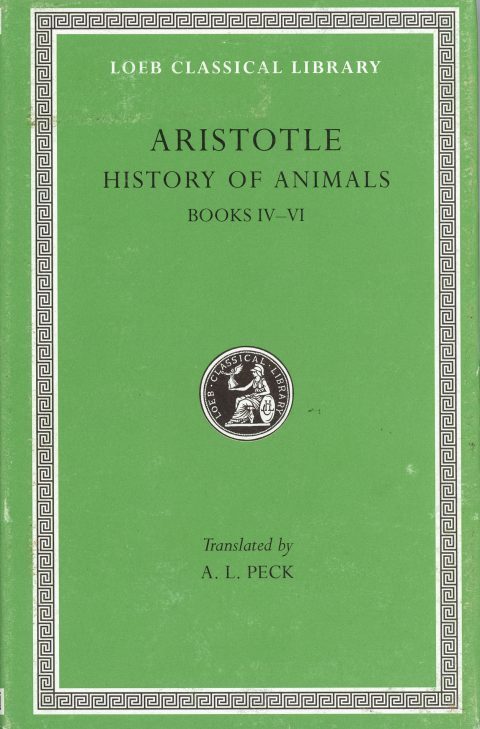 Aristotle can be considered the first bee researcher and History of Animals by Aristotle (4th century BCE) the first in-depth description of bees in literature. Aristotle categorised bees as “political animals” and used the terms “kings”, “leaders”, and “rulers” to denote queen bees. However, he also noted that some people called these bees “mothers” and claimed they produced the young. 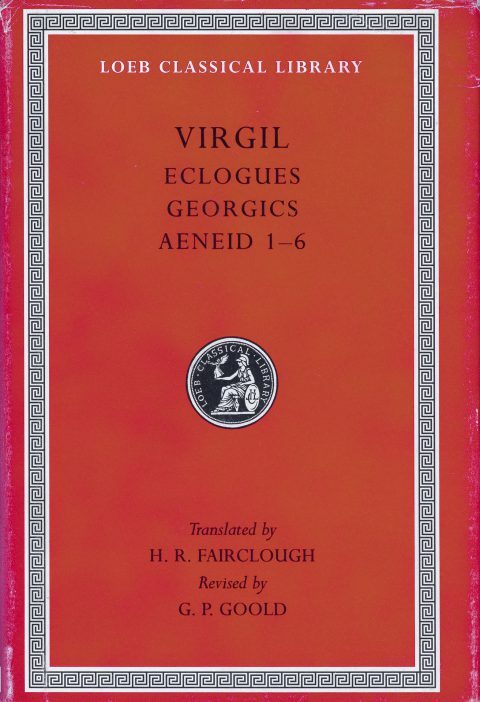 Georgics by Virgil (29 BCE) is another key book in the political history of bees. Virgil describes the bee society as a nation with a king to whom the population pay homage and would willingly battle to the death for. It is said that the Roman statesman and philosopher Seneca (ca. 4 BCE – 65 CE) had Georgics in mind when he claimed that monarchy is an invention of nature: “Monarchy, says Seneca, is an invention of Nature. The King bee has the best and safest Cubile. Free from work, he superintends that of others. He is the champion, chosen by contest, superior in size and beauty”. Ironically, Seneca was eventually forced to take his own life for alleged complicity in an assassination attempt on Emperor Nero, who was once his pupil. Perhaps regretting his defence of monarchy as the natural order. There is one book that does not fit the criteria and is included in The Political Beekeeper’s Library despite not being about bees at all. This is Wasp Farm by Howard Ensign Evans (1964), which is about wasps, who are often confused for bees. Perhaps weary of missteps by his entomology colleagues, Evans cautions against drawing parallels between societies of insects and men. 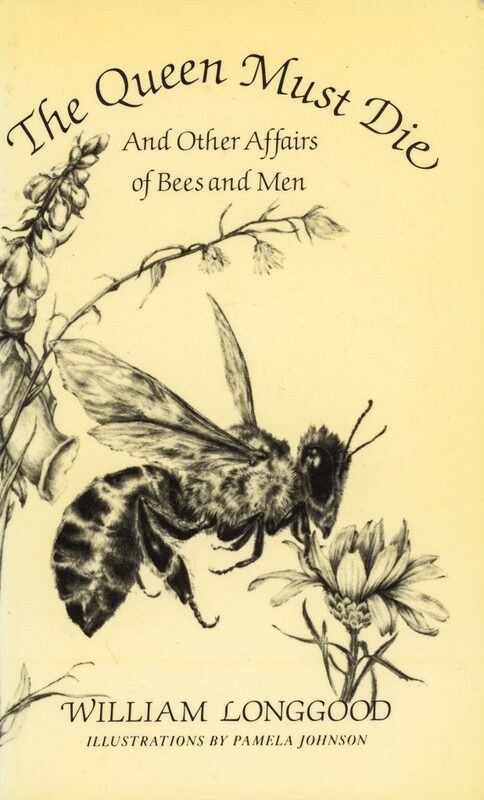 About the fact that bee and wasp societies contain nothing but females except during certain brief periods Evans writes: “Those who profess to find similarities between the societies of insects and those of men need to consider this very important difference—as well as many others”. Bumblebees and solitary bees are bees, however, and they are represented in the library by The Humble-Bees by F. W. L. Sladen (1912), The Mason Bees by J. H. Fabre (1914), All Kinds of Bees by Dorothy Shuttlesworth (1967) and Bumblebee Economics by Bernd Heinrich (1979). Bumblebees and solitary bees are not written about as much as honey bees because they do not produce harvestable honey and in the beginning bees were only valued for their honey. However, just like honey bees, bumblebees and solitary bees are important pollinators of food crops. Sometimes more important. Bumblebees pollinate many of the same crops as bees do and are also commonly kept in greenhouses where honey bees do not thrive. Some crops like alfalfa are often pollinated exclusively by solitary bees. It is also worth noting that social bees such as honey bees and bumblebees are in the minority, representing only about five percent of all bees. Bumblebees form societies similar to honeybees. Solitary bees dwell alone, as their name implies, but sometimes they group together and develop social behaviours similar to those of honey bees and bumblebees. Many of the books in The Political Beekeeper’s Library are summaries of scientific research. 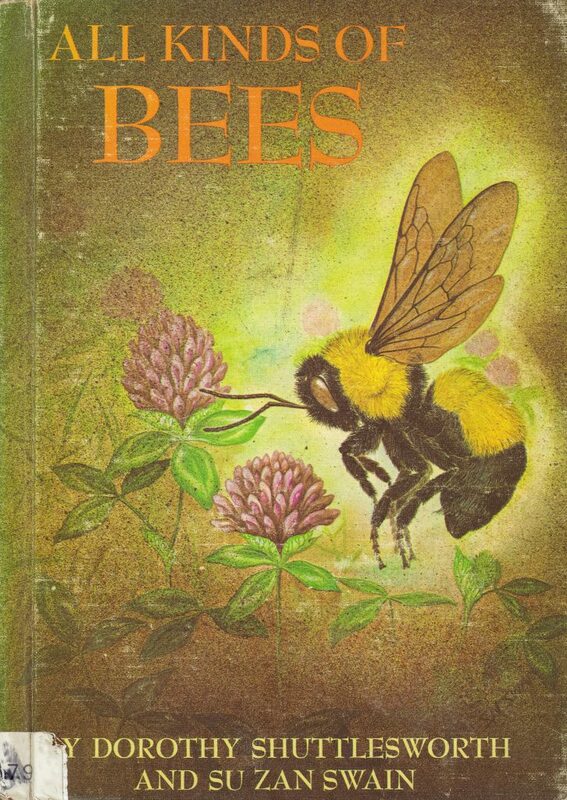 For example, The Dancing Bees by Karl von Frisch (1927), the most well known book by the most well known 20th century bee researcher. Karl von Frisch started doing research on bees in the 1910s and in 1925 he became professor at the Institute for Zoology at Munich University. In 1941 he was forced into retirement by the Nazis. One of the reasons was that one of his grandparents was Jewish, another was that he did not want his research to be used for ideological reasons by the Nazis. However, his retirement was postponed because of his valuable research on combating infections in bees. Frisch made it through the Second World War and continued to do research on bees during a long and active life as a researcher. In 1973 he received the Nobel Prize together with Konrad Lorenz and Nikolaas Tinbergen for their “discoveries concerning organization and elicitation of individual and social behaviour patterns”. Karl von Frisch does a good job at avoiding anthropomorphism in The Dancing Bees. In his own words he has been “careful not to embroider imaginatively on the facts, which are poetic enough in themselves”. But there is one sentence which is strong enough to warrant the inclusion of the book in the library: “Thus the smooth running of the bee state is dependent also on the idle members; even laziness can be justified so long as it does not become the principle of life”. This sentence appears in the sub-chapter “The harmony of work”. 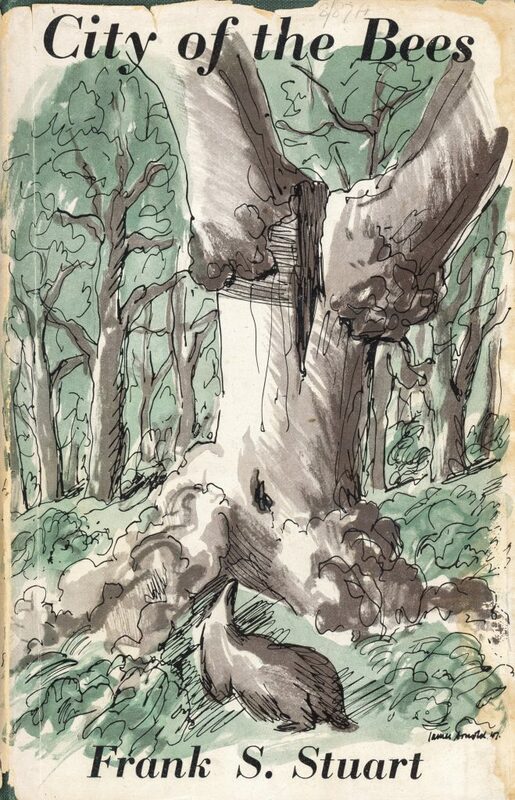 It was added when the book was republished after the Second World War and is not in the first edition published in 1927. The Nazis famously wrote “Arbeit macht frei” over the gates of concentration camps. Perhaps because of this the idea that even laziness can be justified was something Frisch felt was important to emphasise. Another notable 20th century bee scientist is Martin Lindauer. Lindauer was a student and colleague of Karl von Frisch, and like Frisch he did research on various aspects of bees behaviour, such as their communication, social structure, and division of labour. 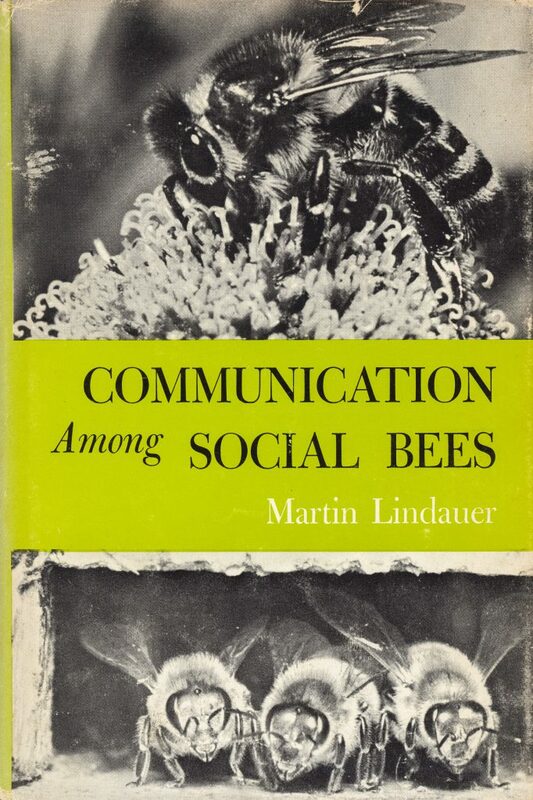 In Communication Among Social Bees (1961) Lindauer also comments on the laziness of bees: “If anyone thinks we should now revise our old ideas of the bee’s industry, they must be reminded that among the bees even laziness has an important social function. The loafers in the beehive are the reserve troops, employed at critical points in the labor market as the necessity arises”. 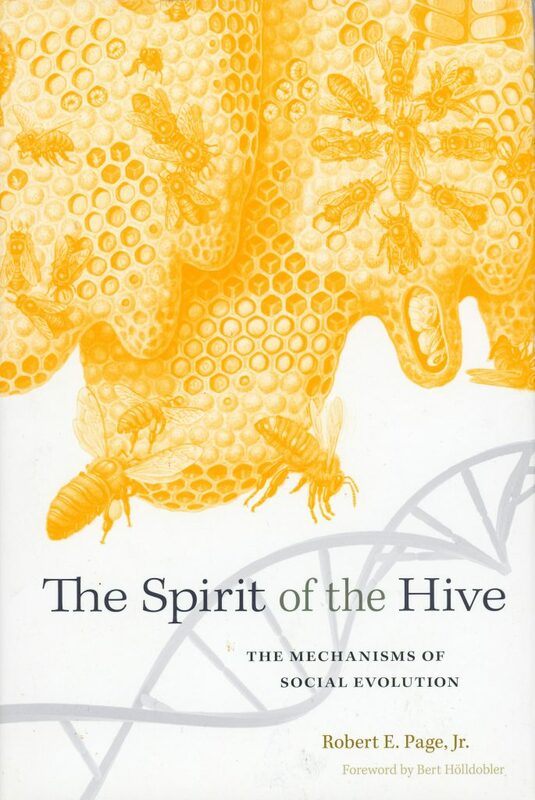 Division of labour is also the topic of The Spirit of the Hive by Robert E. Page (2013). Page describes the bee hive as a self-organised collective without central control of individual workers. 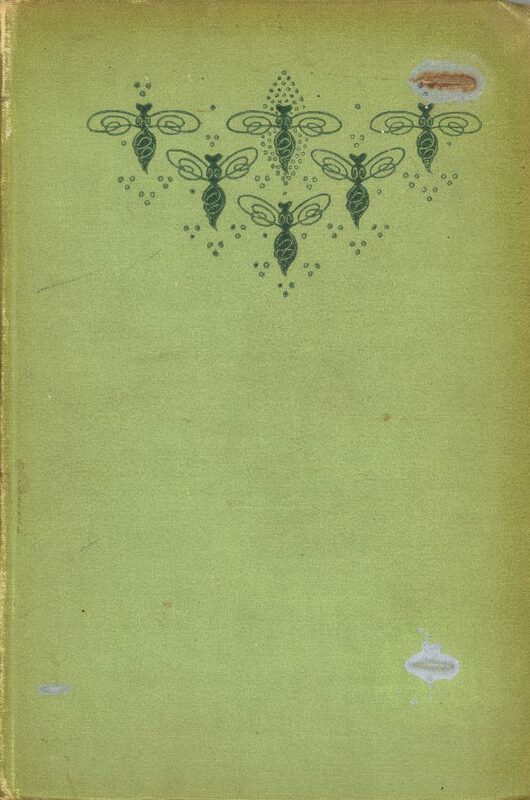 The title of the book, The Spirit of the Hive, refers to a concept introduced by the Nobel Prize winning author Maurice Maeterlinck in The Life of The Bee (1901). Maeterlinck uses the term “the spirit of the hive” to describe an invisible power that guides the bees and determines their action–a power that Maeterlinck also considered the queen to be subjected to. Page however, explains the spirit of the hive as self-organised collective behaviour that emerges as individual bees respond to local stimuli. 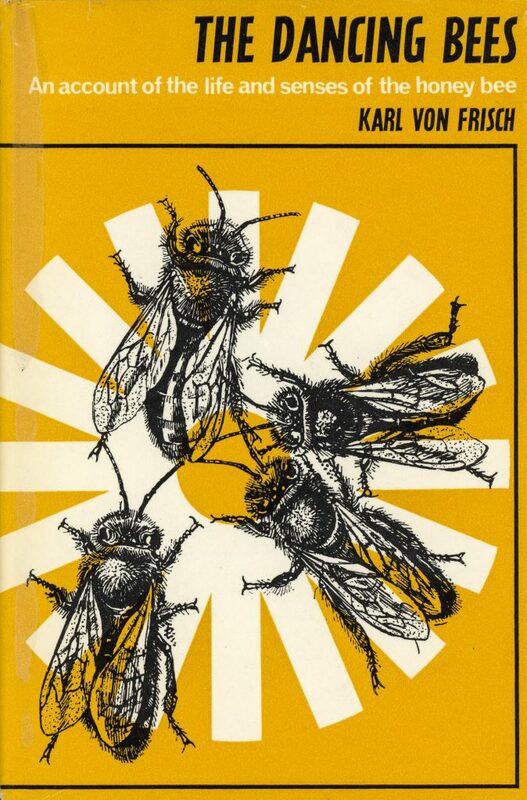 The Life of The Bee and The Queen Must Die by William Longwood (1985) belong to a category of bee books that build on keen observations of bees, but are more philosophical reflections on bees and their behaviour than scientific studies of them. 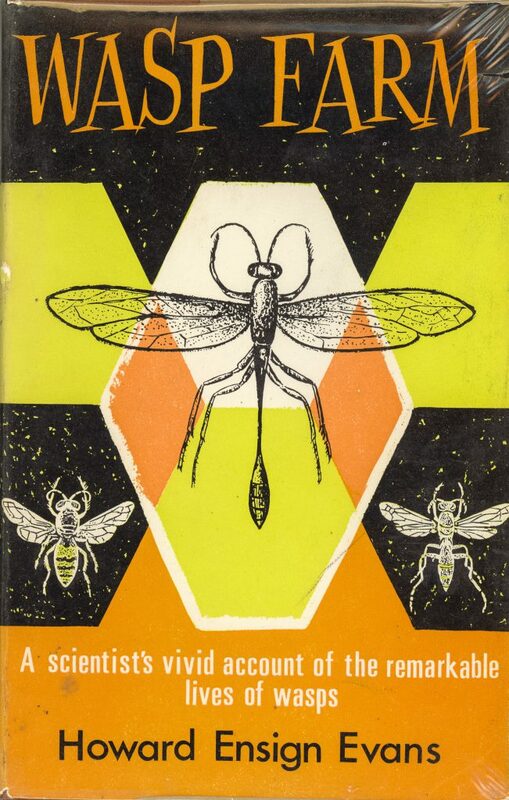 Other books in the library, such as City of the Bees by Frank S. Stuart (1947) are completely or partially novels. However, they build extensively on keen observations of bees and on the scientific understanding of bees at the time they were published. Next to the scientific books and the more literary books, a third category in The Political Beekeeper’s Library are books that put bees in historical and cultural contexts, much like the library in itself does. 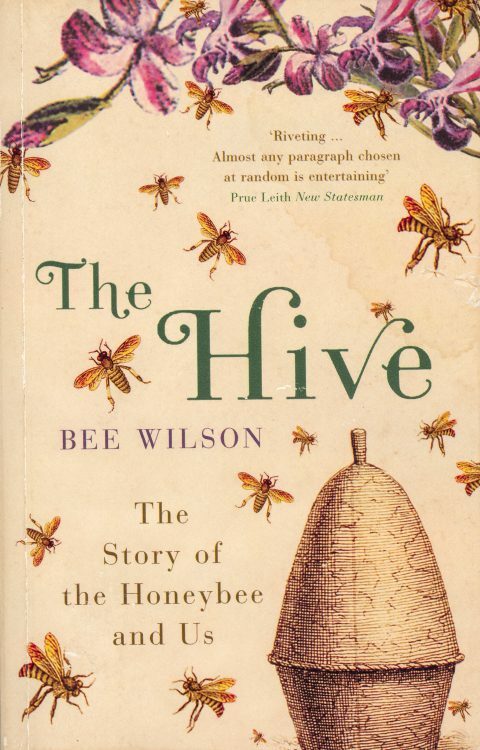 Examples of such books are The Hive by Bee Wilson (2004) and The Sacred Bee by Hilda M. Ransome (1937). 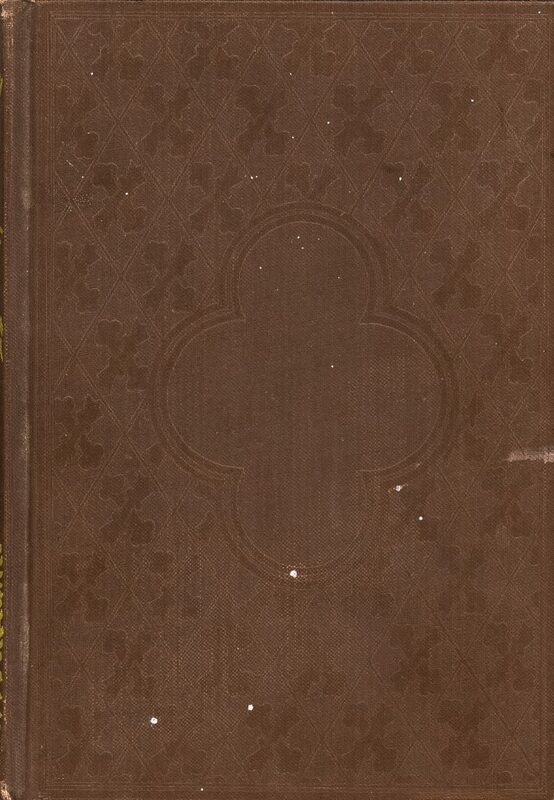 Titles and covers have also played a role in the selection. A book should not be judged by its cover, but the library as a whole does form an aesthetic unity and there are books that were not included because there were other books on the same topic with better titles and covers. 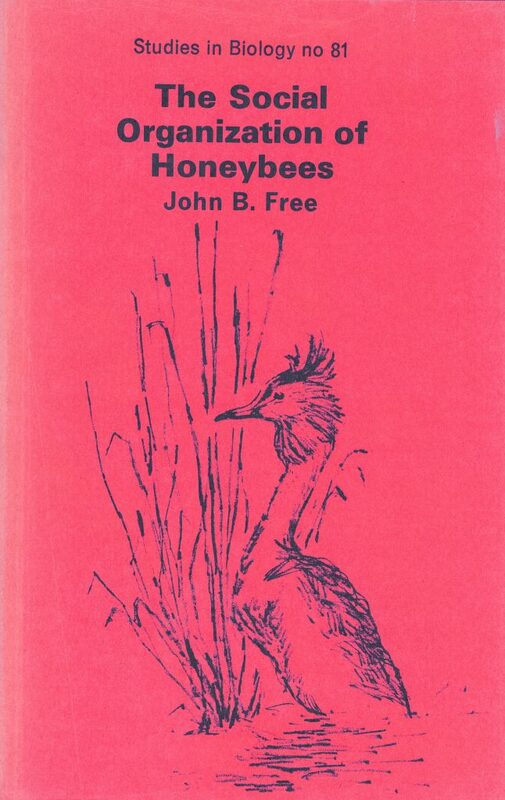 The Social Organization of Honeybees by John B. 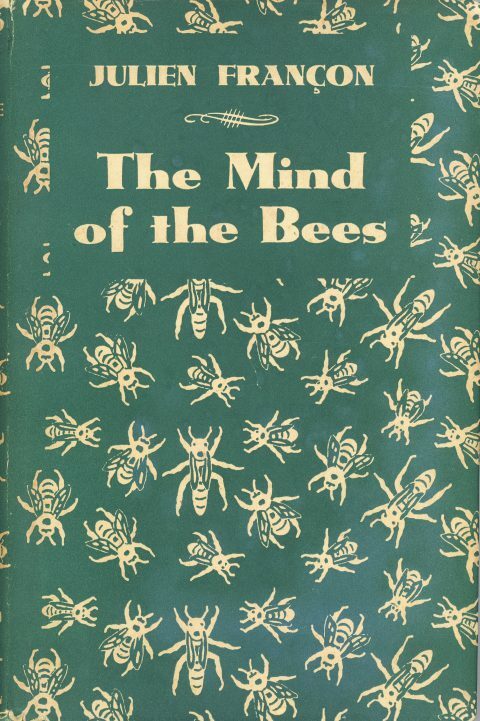 Free (1977), Bees and People by Naum Ioyrish (1974) and The Mind of The Bees by Julien Françon (1939) are examples of books where the titles and covers were important to their inclusion. Where possible, first editions of books have generally been included in the library. However, some books are expensive or difficult to find in first editions. 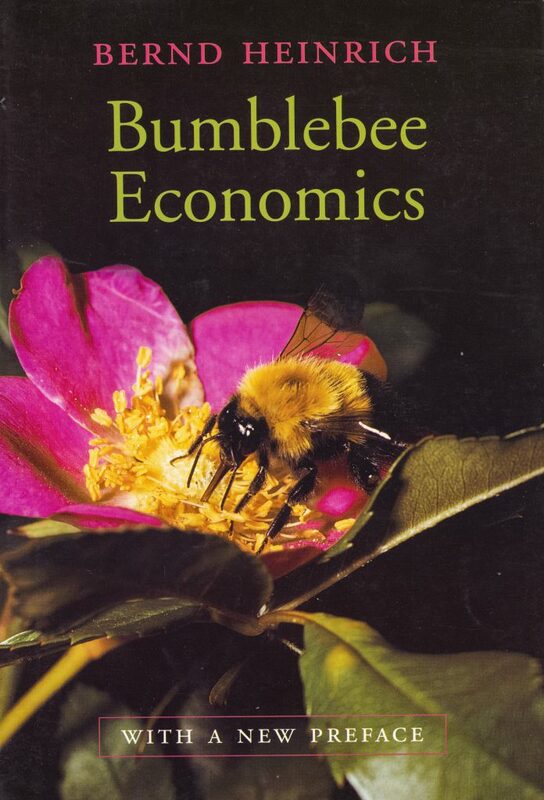 Bumblebee Economics by Bernd Heinrich (1979) is an example of a book where a later edition was deliberately chosen. 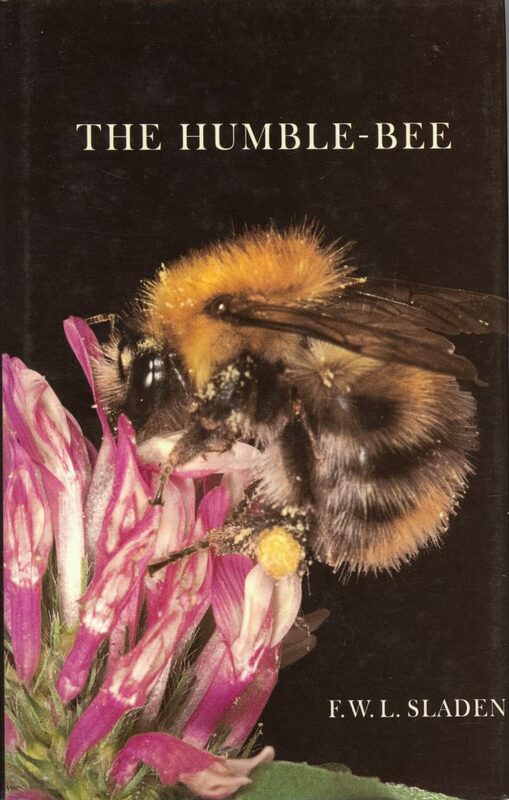 Bumblebee Economics was first published in 1979, but the 2004 edition was included because of its new preface where Heinrich laments that he made comparisons between bumblebees and the economic theories of Adam Smith, the father of capitalism. “I had hoped the comparison would shed light on the bumblebees, but not be taken as a model for human policy”, writes Heinrich. “If I had written Bumblebee Economics now, I would have included a more specific caution beyond the general one I used”. The books in the library generally present bees as role models who humans can learn from, whether the bee society is described as a monarchy with a queen, as in The Feminine Monarchy by Charles Butler (1609), as a corporation with a CEO as in The Wisdom of Bees by Michael O’Malley (2010), or as a democracy as in Honey Bee Democracy by Thomas D. Seeley (2010). There are, however, books that put bees in a less positive light: “Nowhere, surely, should we discover more painful and absolute sacrifice. Let it not be imagined that I admire this sacrifice to the extent that I admire its results”, writes Maurice Maeterlinck in The Life of the Bee (1901). “The heart of a bee is as hard, apparently, as her own black bones”, writes Julie Classon Kenly in Cities of Wax (1935). City of the Bees by Frank S. Stuart (1947) contains some of the most lyrical language, but there are depictions of bees in terms of race, self-sacrifice, and a strive for perfection that are uncomfortably reminiscent of Nazism. 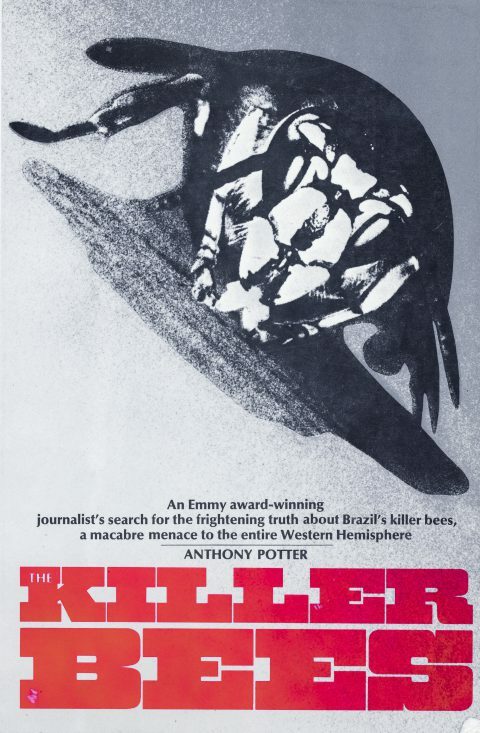 The Killer Bees by Anthony Potter (1977) is from a period when bees were even considered a threat to human existence. 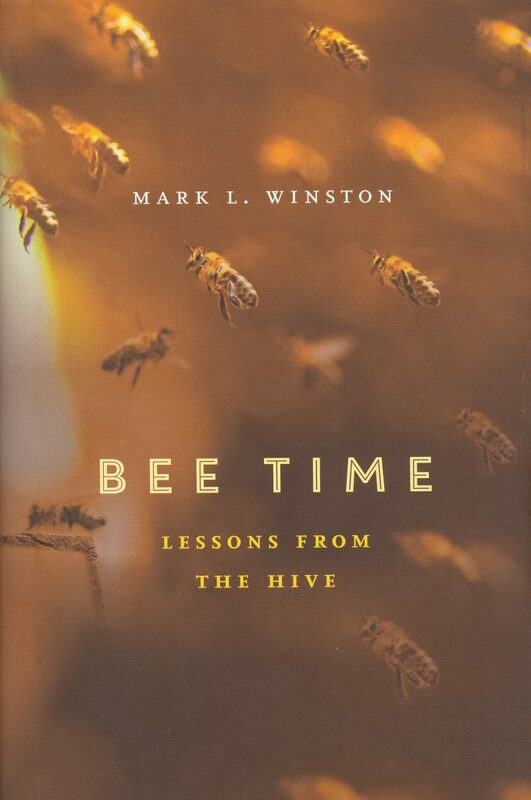 Finally, In Bee Time: Lessons from the Hive, Mark L. Winston (2014) warns that “the most cooperative of societies, even that of honeybees, can collapse into disorder and violence given the right circumstances”. The reasons why books have been included in The Political Beekeeper’s Library are outlined above. However, there are also books that meet the criteria that haven’t been included. Some books that could potentially fit in the library have not been possible to include because they are difficult to find or expensive to buy. This particularly applies to English books from the Stuart period (1603-1714) and the early to mid 18th century. The Feminine Monarchy by Charles Butler (1609) was the first book in an entire discourse on bees and English politics. Some of the books that followed are The Parliament of Bees by John Day (1641), A Theatre of Political Flying-Insects by Samuel Purchas (1657), The Reformed Commonwealth of Bees by Samuel Hartlib (1655), The True Amazons : or, The Monarchy of Bees by Joseph Warder (1720) and Melisselogia, or, the Female Monarchy of Bees by John Thorley (1744). A facsimile of The Feminine Monarchy is the only one of these 17th and 18th century books that are included in the library. 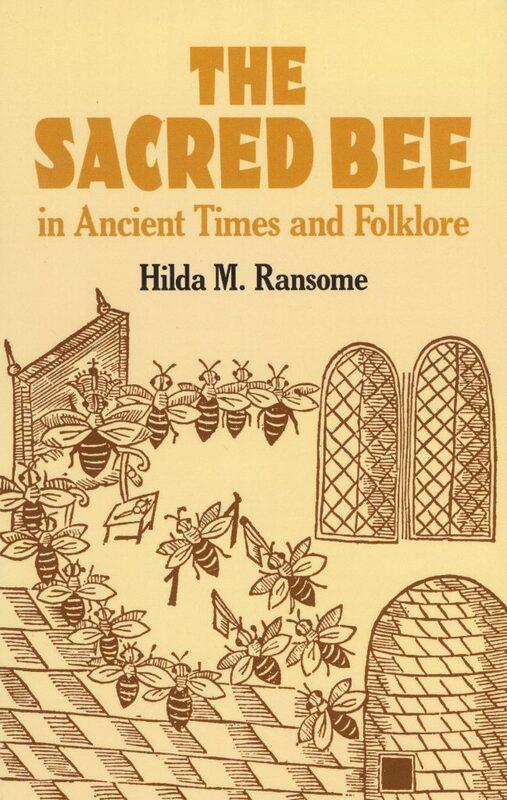 However, many of these books are written about in The Sacred Bee in Ancient Times and Folklore by Hilda M. Ransome (1937) and in The Hive by Bee Wilson (2004). 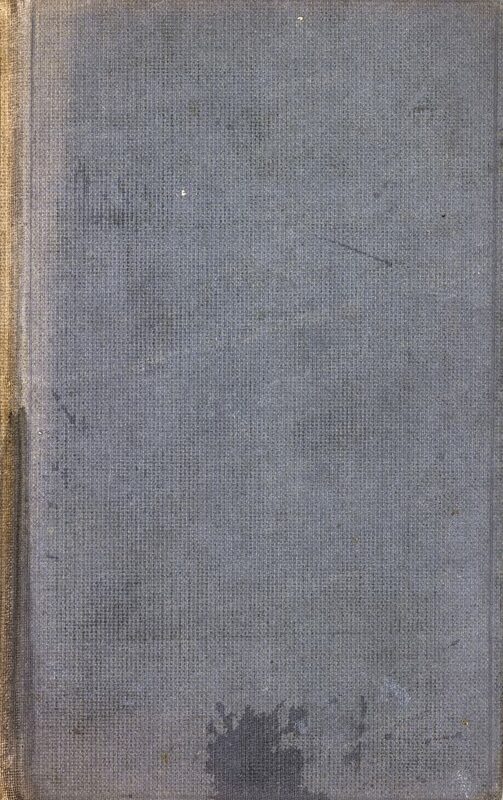 The Fable of The Bees by Bernard Mandeville (1714) has, unlike most books from the Stuart period, been reprinted many times and is still easy to get hold of. It contains the poem The Grumbling Hive in which Mandeville describes the bee society as a state of selfish and corrupt individuals whose vices nevertheless contribute to the good of society. The Fable of The Bees is a key work by Mandeville, who is generally regarded as an influential economist and philosopher. 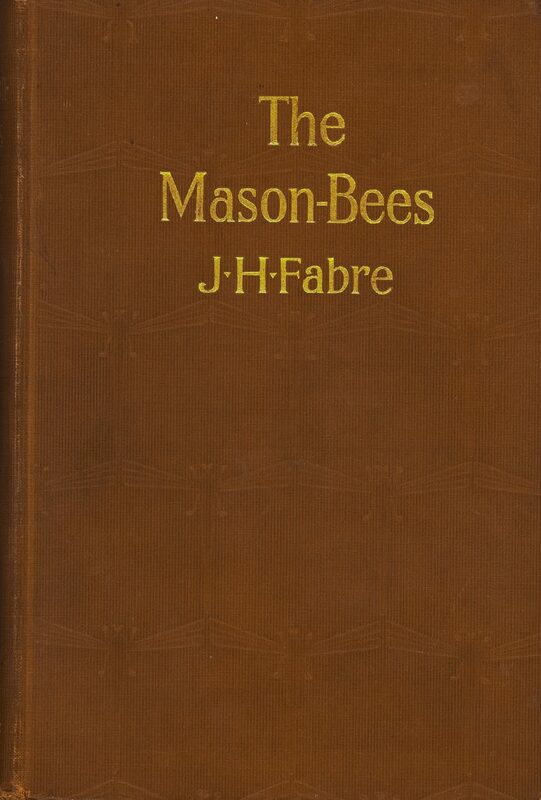 However, despite its title and importance The Fable of The Bees has not been included in the library. The reason for this is that The Grumbling Hive is not grounded in any attempt to understand the real organisation of bees, and it is just a short poem among longer texts in The Fable of The Bees which are not about bees at all. There are other influential political books where bees appear as role models, or are used as metaphors, that have not been included in the library because they are not primarily about bees. The two most important ones are probably Leviathan by Thomas Hobbes (1651) and Capital by Karl Marx (1867). Leviathan is regarded as one of the earliest and most influential examples of social contract theory, and in it humans and bees are compared at quite some length. Hobbes uses bees to exemplify social hierarchies controlled from above, but he argues that while bee societies are natural, human societies are artificial. Hobbes believes that an “iron-fisted ruler” is needed to keep people on the right track but he does not believe in the divine right to rule that Charles Butler advocates in The Feminine Monarchy (1609). Capital appears at a time where cooperation, common ownerships, and socialistic structures among bees begin to be emphasised. There are only a few sentences in Capital where Marx compares humans and bees, but Marx’s work has had such an influence that these are often quoted. For example, Marx writes that “each individual has no more torn himself from the navel-string of his tribe or community, than each bee has freed itself from connexion with the hive”. Only books published in English have been considered for inclusion in The Political Beekeeper’s Library. As a result of this the library can only be said to be representative of a subset of Western culture. It seems safe to say that there is a wealth of books about bees to be found in languages other than English. For example, Bees and People by Russian scientist Naum Ioyrish (1974) includes a comprehensive list of influential people in beekeeping, with many of them Russians who have not been translated to English. It is also worth noting that only a few books in the library are written by female authors. 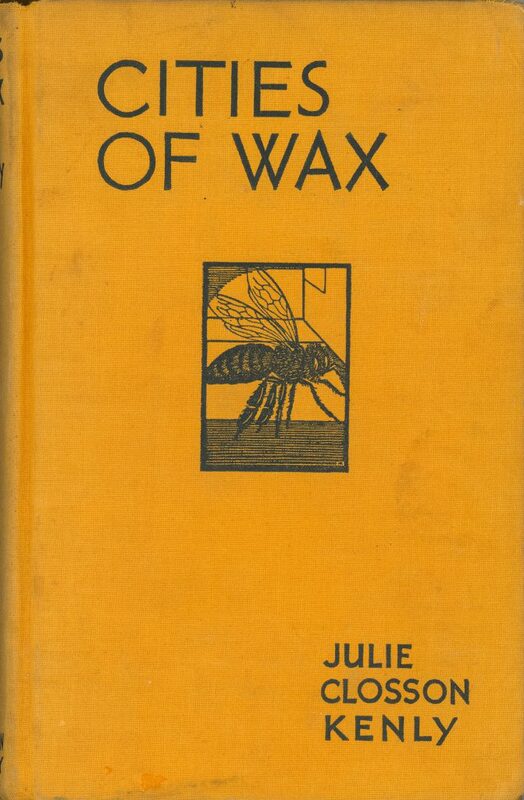 These are The Sacred Bee in Ancient Times and Folklore by Hilda M. Ransome (1937), The Hive by Bee Wilson (2004), Cities of Wax by Julie Closson Kenly (1935) and All Kinds of Bees by Dorothy Shuttlesworth (1967). As noted at the beginning of this introductory essay, the books in The Political Beekeeper’s Library show trends in how humans have understood their own and bees’ social and political organisation throughout history. However, opinions have always varied and not everyone have had the possibility to write and be published. Having said that, The Political Beekeeper’s Library is reasonably complete for what it aspires to be: A representative collection of books in which parallels are drawn between how bees and humans are socially and politically organised. There is no doubt, though, that both old and new books will appear which can complement the library. First published: Fourth century BCE. The Swedish Arts Grants Committee. The content on this website is also available in a printed paperback book from Publit or Amazon EU and Amazon US.